A complete show (the second show) from the Uptown Theater, Chicago on September 29 1978. Road Tapes, Venue #3 features two complete shows from Tyrone Guthrie Theater in Minneapolis, MN. on July 5 1970. 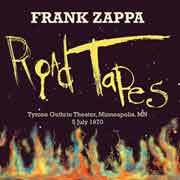 "FZ's vast Vault does not contain many full shows from this time period, so that alone makes this release a special one. The tapes were recorded to stereo reel-to-reel, but not without problems. Due to their historical relevance, we felt it was worth it, warts ‘n all! Venue #3 does not disappoint." Official release #98 is taken from rehearsal tapes from summer 1975. This particular line-up never toured. Most tracks are taken from 4-track tapes mixed by Joe Travers; the remainder (highlighted in yellow) are taken from rehearsal cassettes recorded by Denny Walley. Titles in quotes are spoken word. 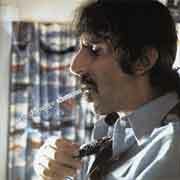 Frank Zappa - Guitar, Vocals . Napoleon Murphy Brock - Keyboards, Sax, Vocals . Robert "Frog" Camarena - Guitar, Vocals . Denny Walley - Slide Guitar, Vocals . Novi Novog - Viola, Vocals . Andre Lewis - Keyboards, Vocals . Roy Estrada - Bass, Vocals . Terry Bozzio - Drums, Vocals. 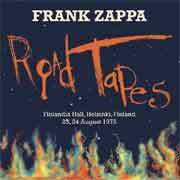 Official release #96 is taken from two shows at the Finlandia Talo, Helsinki on 23 August 1973 and a third show on 24 August. The Vaultmeister has compiled the best sounding and the best performances based on the sequence and flow of Show 3. The sound quality is amazing considering it was all recorded on two or four track tape. 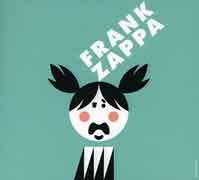 Band: Frank Zappa(lead vocals, guitar), Tom Fowler (electric bass), Ralph Humphrey (drums, cowbells), Ruth Underwood (percussion), Ian Underwood (bass clarinet, synthesizer), George Duke (keyboards, vocals), Bruce Fowler (trombone), Jean-Luc Ponty (violin). Official release #92 (and the first release in a new series of Road Tapes) is a concert recording form the Kerrisdale Arena, Vancouver BC on 25 August 1968. This was taken from a mono reel to reel tape. Despite this limitation the sound quality is very good (Nice job, Vaultmeister!). 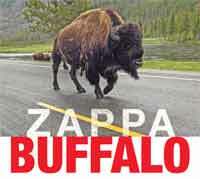 Band: Frank Zappa - . Motorhead Sherwood - . Roy Estrada - . Don Preston - . Ian Underwood - . Bunk Gardner - . 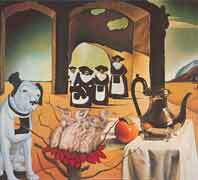 Art Tripp III - . Jimmy Carl Black. 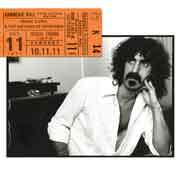 Official release #91 is a four CD set containing two complete shows from the Carnegie Hall, New York on October 11th 1971. The Persuasions opening set from the first show is also included. Band: Frank Zappa (guitar,vocals), Ian Underwood (keyboards, woodwinds), Jim Pons (bass), Howard Kaylan (vocals), Mark Volman (vocals), Aynsley Dunbar (drums), Don Preston (keyboards). 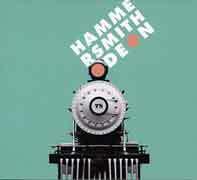 A 3CD set featuring songs from four shows at the Hammersmith Odeon in January/February 1978, assembled by Joe Travers into a full show sequence plus encores. 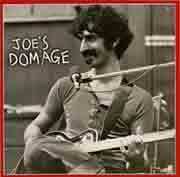 Many of the basic tracks on Sheik Yerbouti came from these shows but this set includes alternative performances only. All newly transferred from the master tapes and remixed. 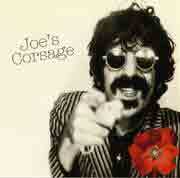 Liner Notes by Peter Wolf. 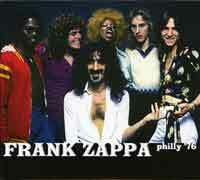 A 2CD set featuring the full concert from the Spectrum Theater in Philadelphia on October 29th 1976. The fourth in the Joe's Corsaga series is an excerpt from the concert at the College of William & Mary, Williamsburg, VA 1 November 1975, recorded to stereo tape by Davey Moire and now spiffed up for CD release. The full concert from the last show of the 20-piece Grand Wazoo band recorded in Boston USA on September 24 1972. The complete concert from 25 October 1980 in Buffalo, NY. and wondrous thunderous it is too. This release is a mix of music and spoken word from around 1963, expanding on some of the early Mystery Disc tracks. There's also different versions of two PAL recordings plus a couple of short Varese influenced pieces and Uncle Frankie plays an impromptu blues. Liner notes by Gail. This release is an early rehearsal recording by the Grand Wazoo band found in the vault labelled by FZ as Original Brown Clouds Rehearsal. Listen and wonder how he got from here to The Grand Wazoo and Waka/Jawaka. Liner notes by Gail. A collection of early Mothers' recordings newly retrieved from the UMRK vault. Tracks: 1. "pretty pat" 2. Motherly Love 3. Plastic People 4. Anyway The Wind Blows 5. I Ain't Got No Heart 6. "the phone call" 6a. My Babe 7. Wedding Dress Song/Handsome Cabin Boy 8. Hitch Hike 9. I'm So Happy I Could Cry 10. Go Cry On Somebody Else's Shoulder 11. How Could I Be Such A Fool? 12. 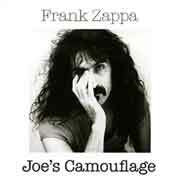 "we made our reputation doing it that way"
Frank Zappa - Guitar, Vocals. Ray Collins - Vocals, Tambourine. Henry Vestine - Guitar. Roy Estrada - Bass. Jimmy Black - Drums. 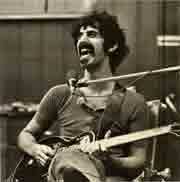 Frank Zappa - Guitar, Vocals. Ray Collins - Vocals, Tambourine, Harmonica. Roy Estrada - Bass. Jim Black - Drums. 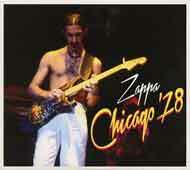 Frank Zappa - Guitar(s), Lead Vocals. Ray Collins - Lead Vocals. Roy Estrada - Bass. Jim Black - Drums. 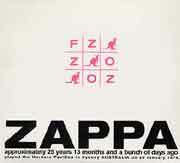 FZ:OZ - a LIVE 2CD set recorded in 1976 at the Hordern Pavilion in Sydney Australia, the first release on the new Vaulternative Records label from the Zappa Family Trust.